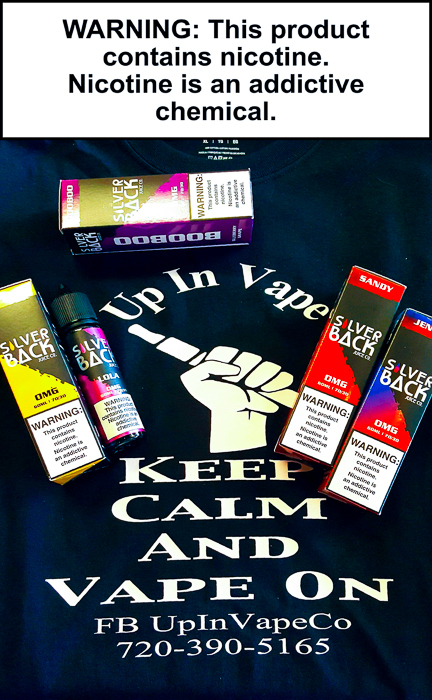 Amazing Flavors In Stock from the folks over at SilverBack Juice Co. At Up In Vape Thornton Colorado. on the inhale, with a watermelon finish on the exhale. This Delightful combination will satisfy your fruity inhibitions. with a splash of cool minty watermelon bubblegum finish on the exhale. This exotic blend will keep you cool during the hot summer months. and banana notes, infused with dragon fruit extract. The perfect recipe for an all day vape. Simply the best milkshake you have ever had. mouthwatering sensation that will keep you coming back for more.